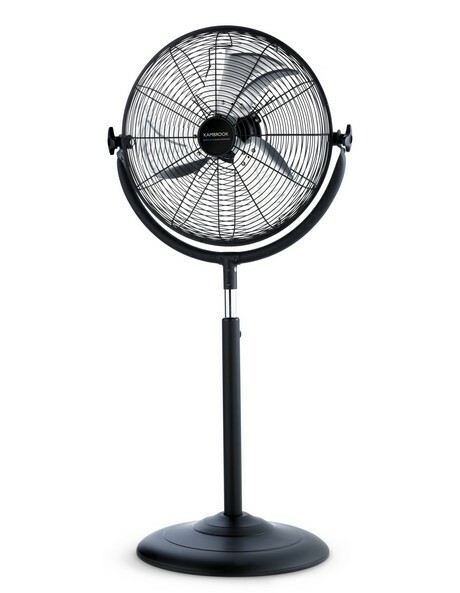 Relax in the powerful cooling breeze of the high-velocity, all-metal KAMBROOK KFA423 Arctic HV 40cm Pedestal Fan. With a choice of three speed settings, this Kambrook Arctic Pedestal Fan in black can be adjusted to gain maximum airflow and better directional cooling throughout the room. The fan is extremely sturdy, thanks to its anti-topple base, and is highly portable too.